Oh my goodness. Stop the updates. Seriously. Who can keep up? I barely had time to blow dry my hair. And yet, all of these new iOS 6 features are making me do the HAppy Dance here. Groan – I know, pretty lame joke but aren’t you sad you didn’t think of it first? What a day! After successfully downloading iOS 6 to my iPad and iPhone, I was also greeted with the task of updating a ton of my favourite Apps – like iMovie, iPhoto, iPages, iPages, iBank, Keynote and many, many more. Now, to be honest, I haven’t had time to try all of them but suffice it to say that, at first glance, all appear to be super efficient and silky smooth. Many of the Apps come with tons of new features to complement the sophistication of iOS 6. And, for Facebook lovers – all bzillion of you – there is Facebook integration everywhere you look. Just hold your finger on a photo or tap a share button in an App and watch the magic begin. And let’s not forget Siri status updates for Facebook. Very, very nice. And, when you visit the iOS App Store, check out the beauty of the new layout. It makes you want to shell out more money – everything old looks new again. And the icing on the cake? Mountain Lion issued a huge update as well. Check it out! Is it long enough for you? The only downside is that Maps is a bit of a mess. The navigation system works well enough, I suppose, but no 3D is happening at my end. I suspect that the rendering of 3D images is dependant on your location but still, all in all, I was disappointed. Everything in time and circumstance. Geeks must be patient but sometimes it’s hard. So, have you downloaded iOS 6 and updated your Apps? Is it all you were expecting? More? Less? Please share. Special thanks to CultOfMac.Com for the video. Excuse the cheesy title and my deepest apologies if others already jumped on the roaring bandwagon. I wanted to get this blog topic up before the next OS X update. Wink! By all reports, it looks like the latest and greatest OS X update from Apple, Mountain Lion, has lived up to its expectations. The new cougar runs like a baby on Apple’s computers and laptops and the new features accompanying the installation of Mountain Lion have been met with positive and favorable reviews. No whining this time from the tech blogosphere, unlike what we heard after the Lion update a year ago. I installed Mountain Lion last evening and the process was as smooth as a baby’s bottom. For $19.99, this upgrade comes packed with loads of features that brought a huge smile of relief to my face. I love the new Dictation feature – it is extremely accurate and an absolute time-saver. Also, iCloud is now working at full speed, synching all of your documents, data, calendars, emails, notes, contacts, reminders and more between all devices, including your Mac. It is a veritable dream come true. Furthermore, you can Tweet, iMessage, Email, Facebook (the latter coming in the Fall) and more from pretty well anywhere. Personally, because I love Photography so much, I enjoy the fact that I can share my photos directly from iPhoto. Another time-saver. If there is a photo in iPhoto I want on my iPad or iPhone, I just iMessage it to the device and save it on that device. Quick and easy. 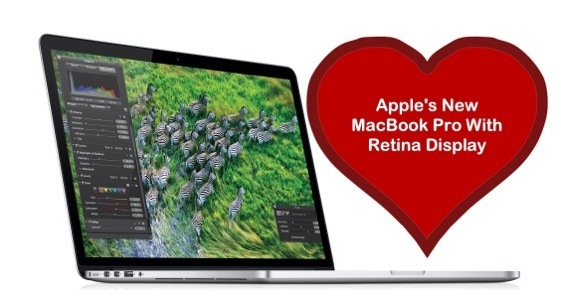 The above video focuses on 30 OS X features but, to gain knowledge of everything Mountain Lion can accomplish, you must have a tour of the upgrade over at Apple’s Mountain Lion page. Have you downloaded Mountain Lion yet? Share your thoughts in the comments section. WWDC Coverage Via Mashable.Com. What Just Happened? First of all, I would like to thank the incredible team at Mashable.Com for today’s outstanding live coverage of the WWDC 2012. All the information and pictures you see in this article are attributed to Mashable.Com. However, I would urge you to head on over to Mashable’s site for a more comprehensive look at the amazing technological advances awaiting us via Apple in the coming months. This is truly the stuff of magic and dreams and, Steve Jobs, thank you for making this superior level of innovation possible in our lives. Tim Cook and his team assembled a great presentation today, June 11th 2012. Well, it is finally here. 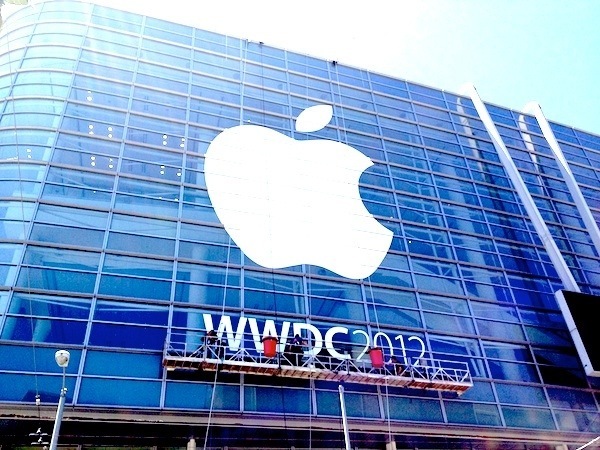 The much-anticipated 2012 Apple World Wide Developers’ Conference is set to begin in a 30 minutes at 1:00 Eastern (10:00 AM Pacific and 6:00 PM UK) at the Moscone Center in San Francisco, California. In addition to the unveiling of the enticing little technological treats awaiting us via the iOS 6 update, there has been much speculation regarding the other announcements to be made by Apple on this fine Monday, June 11, 2012. Will Apple announce its strengthening partnership with Facebook by deeply integrating Facebook accessibility into the iOS interface? What’s happening with Mountain Lion? Will Siri be introduced into the IPad and Mac systems? What about Apple HDTV? What about this? What about that? Well, soon all speculation and hear-say will be laid to rest – thank heavens! But, mark my words, after all is said and done, it will never be enough for some tech geeks who refuse to be satisfied with the new product announcements. Why is it never enough? I still can’t get over the fact that I can AirPlay my IPad or IPhone content on my TV with the touch of a finger. It’s magical! Just be happy that we live in an Apple-dominated world and enjoy the ride. It’s going to be a long one and it doesn’t end today. It is merely beginning. Move Over Lion. There’s A New Kittie Cat On The Block And It Is Huge. Apple is moving fast and furious with their updates and news releases. First it was IBooks Textbooks For The IPad, IBooks Author, then the leaking news about the imminent release of the IPad 3 and now, yet another update for the Mac. 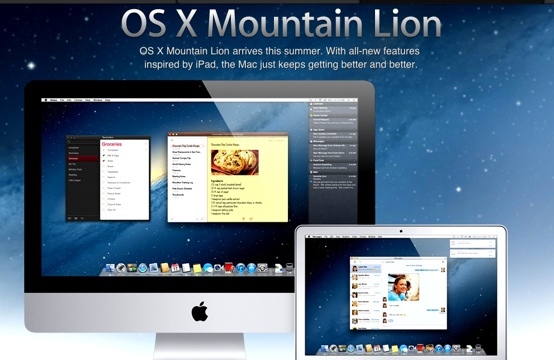 Introducing OS X Mountain Lion – the successor to Lion OS X. And, it looks like this Mac App only update, scheduled to be released in late summer, is going to fill Lion’s shoes – or paws, so to speak, very nicely. Everyone is giddy with excitement, as this update will be a true reflection of everything that is now possible on the IPad. Except, now you can sit at your Mac, texting and tweeting the hours away as you work on your Mac projects. And Mac OS X has had to throw out some of its stuff. Bouncing icons in the dock? Who needs them when you’ve got Notifications, which appear in classy banners down the side of the screen? The venerable antique Instant Message software, iChat, a 2002 vintage? A stupid wagon-wheel coffee table, says iOS. Throw it out. Instead, here’s iMessage, which will still let you IM your contacts (if you must). But what it really wants you to do is use Apple’s seamless texting replacement of the same name. Admittedly, the thought of being able to immediately text anyone with an iPhone for free from your desktop is so unbelievably cool, it can bring on an attack of the vapors. You get the sense the Mac is going to be happy with its new roommate. What’s not to like about Airplay, which can seamlessly mirror your desktop on an HDTV? Or a separate Notes app, where you can attach notes to the desktop like stickies? Or Game Center, which will mean a lot more cross-device play? Or a “share sheet,” which effectively means developers are going to be able to put Twitter buttons everywhere? Mountain Lion will already let you tweet from all standard OS X apps such as Safari and Photo Booth. That means you can sit and take photos of yourself and instantly tweet them, to your heart’s content. It’s a boon for Twitter users (Twitter readers, not so much). And, of course, everything will be seamlessly synchronized with your mobile devices via ICloud. So, for example, if you are working on a Pages document on the Mac, your work will be stored in the cloud for future access on another device. Or vice versa. The possibilities are endless. Technology is a very good thing. And Apple technology is even more exciting, healthy even. You know, “An Apple (product) a day keeps the doctor away”. And, when you are a senior citizen, this motto makes even more sense and resonates to a higher degree. So, if you haven’t upgraded to Lion, does this bit of news entice you to do so? I finally caved in January and, at the time, wondered what took me so long? It went without a hitch. My only concern: isn’t Apple going to run out of cat names soon? Cheers!